Pumpkin Picking!!!! I love October. Pieces of fabric…ready to be sewn together. Painting things Pink…or “Watermelon” to be exact. 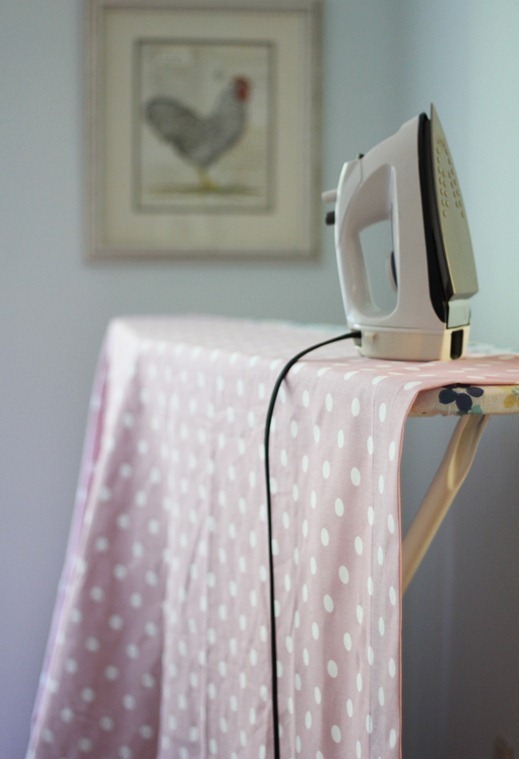 And Pressing Pink Polka-dots for Sophie’s curtains. They are turning out so cute. 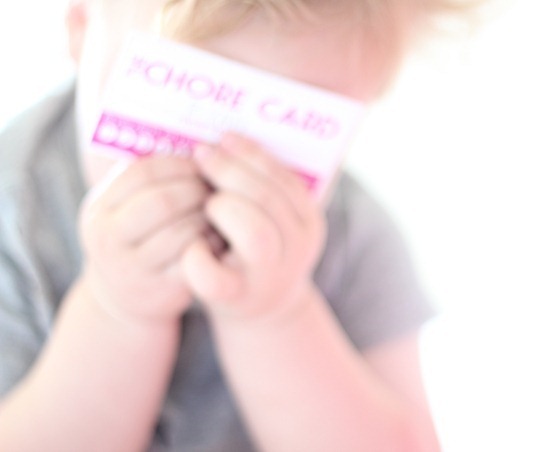 Punch Cards…these have been the best thing for my kids and me. No more stickers and charts to mess with…they get punches for chores and for being especially kind to one another. Usually they trade them in once a week for a special treat or a dollar. But this month they saved up their punch cards for a trip to Chuck-E-Cheese….yipee. So I’m on my way to Chuck-E-Cheese…luckily they have a diet coke dispenser or I’d die. 36 Responses to Brought to you by the letter "P"
What a good idea!! How fun for the kiddos :) Love that clock – where is it from? Cute! Have fun in crazy town. Great idea on the punch cards. Did you make them? The punch card is a great idea! I have never heard of punch cards. Good idea. Oh…I am so glad to be past the CEC phase…it is so loud and annoying. Maybe a large bar of chocolate would also help? Chuck E Cheese? Shudder. You are a brave woman. I'd take more than an endless supply of diet coke to lure me there! Love the punch cards! I am taking my charts down right away. They are quite an eye sore in my kitchen. I love the gun handle on the spray paint too. It probably makes the paint spray more evenly. I will have to remember to get one the next time I need to spray something. 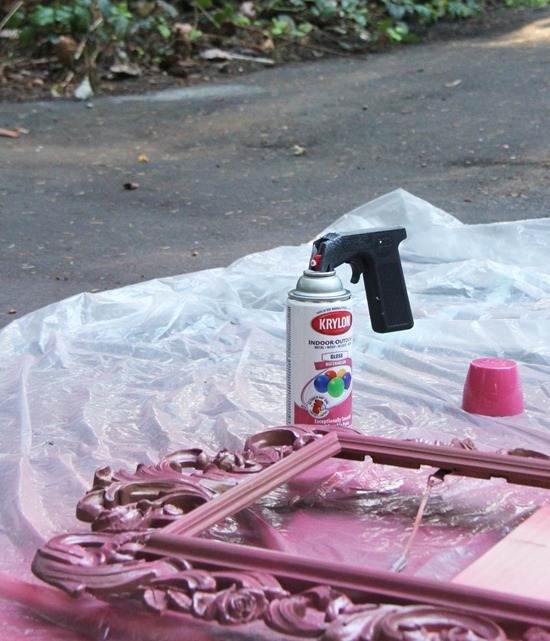 I love the pink painted picture-frame…Perfect!! I've managed to escape Chuck E Cheese so far in my parenting career…crossing my fingers. Every thing is so sweet! Going to share the punch cards with my daughters! Oh my goodness! Punch cards! Brilliant! Wow – wish I'd had those 20 years ago! LOL… we went through a lot of stickers… genius! 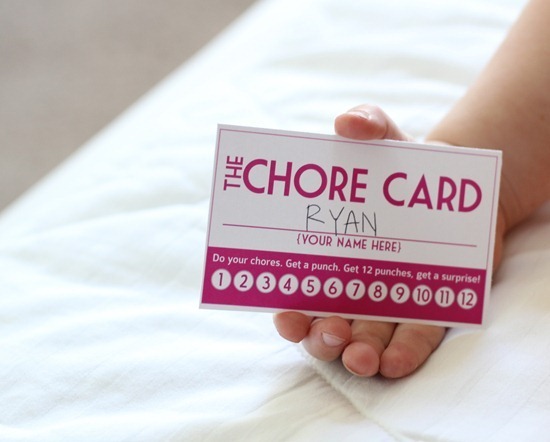 The punch cards are a great idea…you are an amazing mom! Such a great idea! Not sure if my kids are old enough for that yet, maybe they are, worth a shot right?! How old are your little ones? Mine are 1.5 and 2.5. Should work with my oldest. The punch card is a GENIUS idea! Any chance you'd share the pdf so I could print them out and use them with my kiddos? My daughter loves those punch cards too — I used to use them when I was a teacher. So much easier than anything else! You can find them at teacher supply stores like Lakeshore Learning Store or CM School Supply. I'm going to like the mirror and curtains for your little princess. Please post pictures of her room when finished. As for Chuck E Cheese, don't go on a week end. With lots of children it is full of germs! I wonder If they wash the equipment. Have fun. I'm particularly pleased with all the P's. I love the trigger on your paint spray can. I'll have to go look for one of those. I love the pallet of colors in your fabric, yet to be pieced. I'm excited to see what you make. And I can't wait to see how you use the (watermelon) pink frame. I also love October. Its the start of fall season. 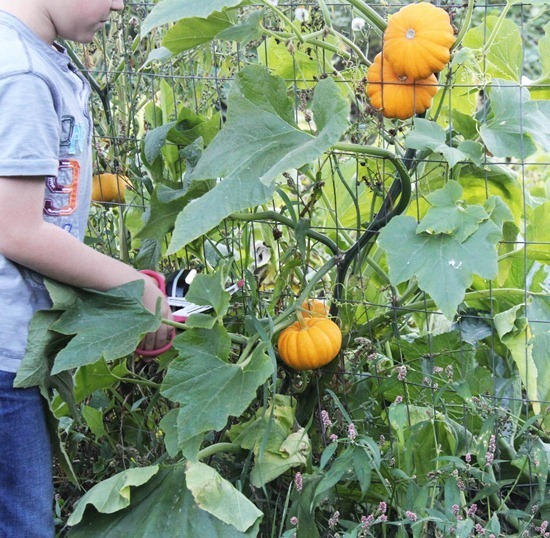 The time to harvest the pumpkins. All those gorgeous orange that surrounds us. Nice spray paint mechanism. Fancy, and yet… simple. Why don't I have one of those? 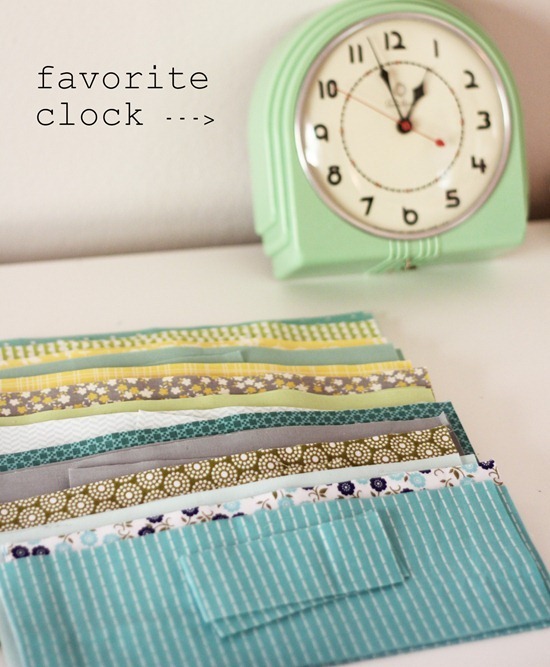 I'm super-excited that I stumbled upon your beautiful blog (via sewpony). Sooooo many gorgeous things to see here – and I just love the look and feel of your blog! A post all about óne letter of the alphabest is a brilliant idea!!! I too play it safe when quilting, and would love to get that kick in the pants to try something more challenging. I have bed-sized quilts planned for my 4 Grands, fabric purchased for three of them, and see the opportunities to try something more complex. Would love to win this great book and get some specific inspiration and instruction. Thanks for the chance!